The midgie is most commonly found in North West Scotland from late Spring to late Summer (er, hold on a minute, is that not where we are going on our holibags this year Mummy?!) but can be found in many areas across the UK. Watch out, it's the girls that bite! Midgies are most active just before sunset. They become less active after sun set and when winds are above 6mph. A swarm can bite 3000 times in an hour!!! Midgies zone in on us by smelling the carbon dioxide we exhale. 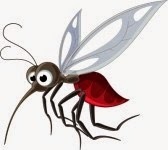 Research has shown that a swarm of midgies can cause around 3000 (yes, 3000!) bites in an hour and up to 40,000 midgies can land on an uncovered arm during that same time frame. Yikes! 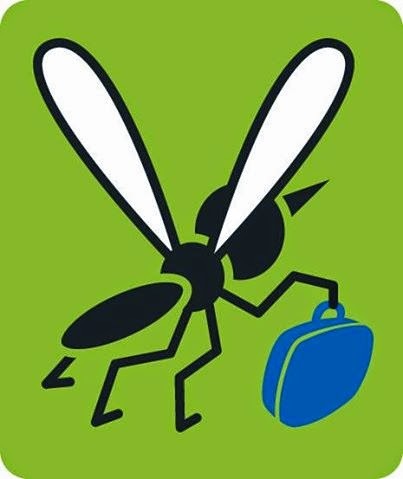 Avoid sitting out in early morning and late evening, the midgies' favourite munching times! 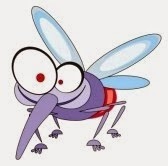 If you have a particularly bad problem with midgies in your garden you could consider a midgie machine. Manufacturers claim these are very effective (and many users back this up) although M&D had one and returned it as it didn't catch any in our garden! Some camp sites have these in their grounds to make your stay more comfortable. Use a midge repellent. My mummy (who, like me, midgies love dearly) swears by Skin So Soft from Avon. However, there is a lovely new product which has just arrived on the market too. 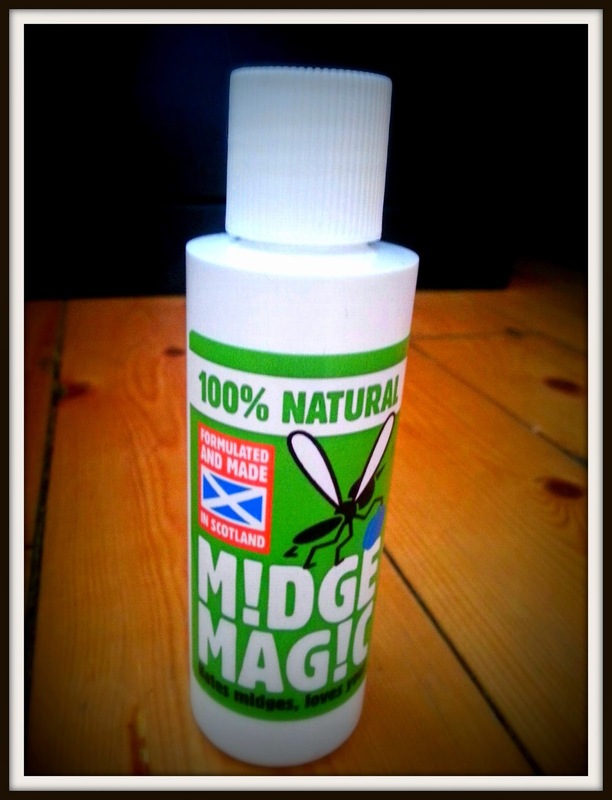 It's called "Midge Magic" and it's handmade in Scotland (so they understand the midgie issue!) 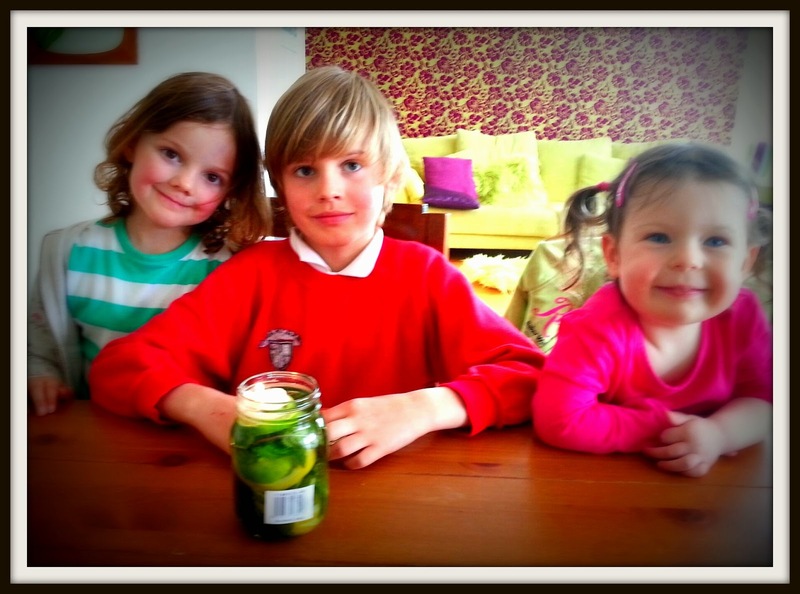 by the clever people at Yumm Naturally in Crieff. It is made with 100% natural ingredients and is deet free. Not only does it keep midgies away but it also smells lovely and keeps your skin lovely and soft. It's fine for littllies like me to use although pregnant ladies (like my Mummy!) should avoid using it during their first trimester. 2. 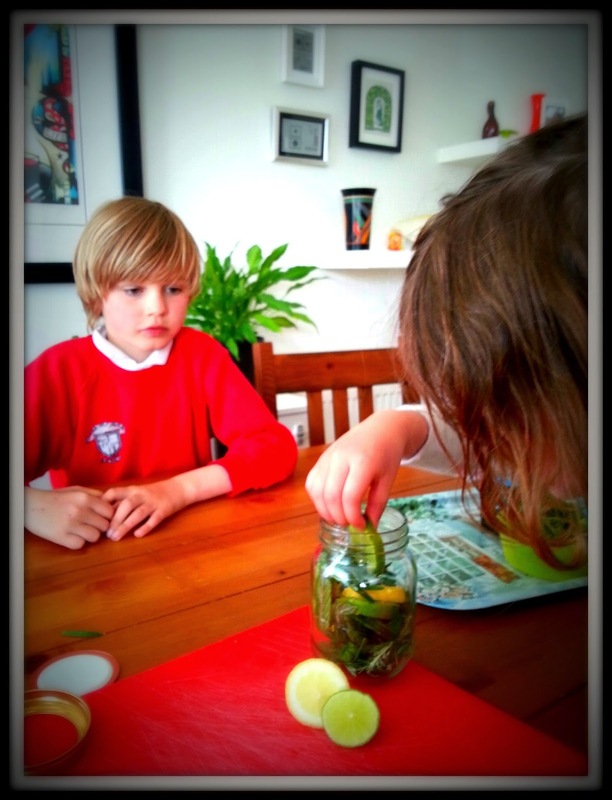 Ask a grown up to slice the lemon and lime. 3. 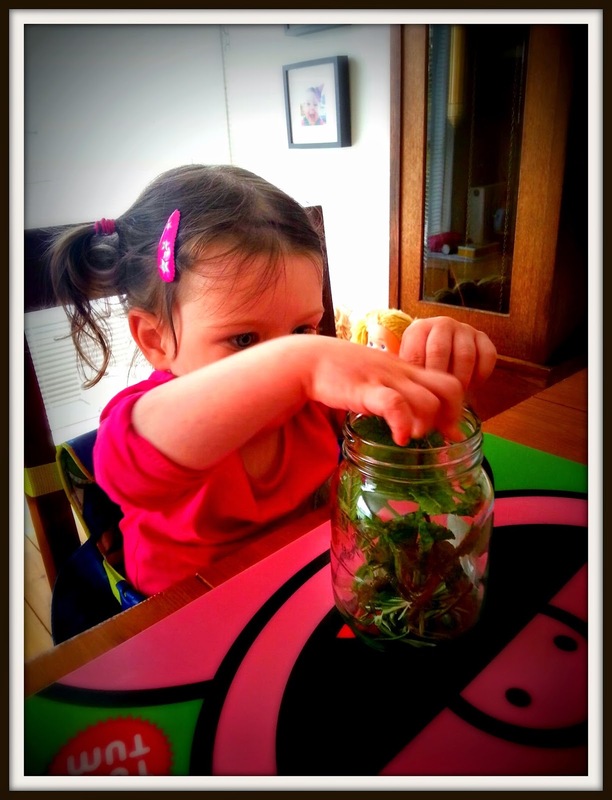 Pick some mint and rosemary from your herb garden. Add in the lovely, smelly herbs! 4. 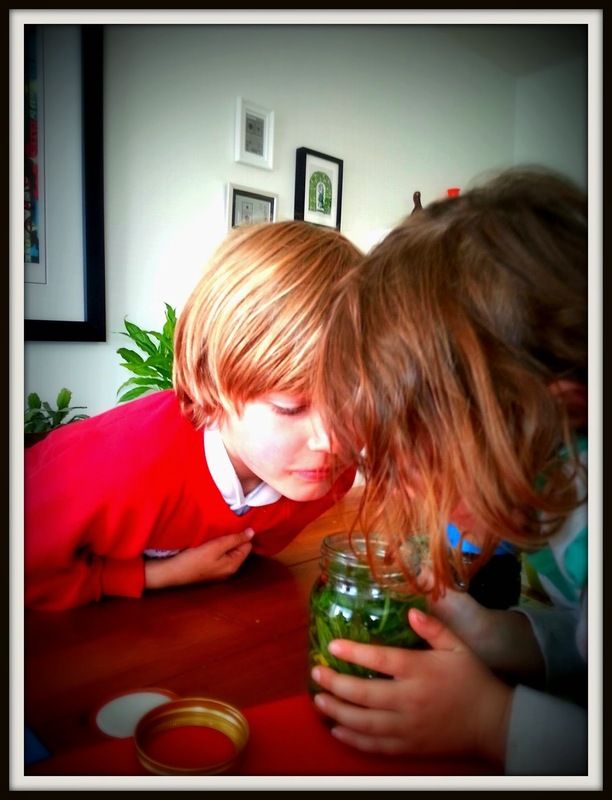 Layer the lemon, lime, mint and rosemary so that you have lots packed into your jar and it looks pretty. 5. Carefully pour the citronella oil over the top. Have a good sniff - it smells awesome! Although the candle smells lovely to us, midgies hate the citrus smell so will stay well away. This will be the first thing I pack when I go on holiday! Hope you manage to avoid being bitten. 1. 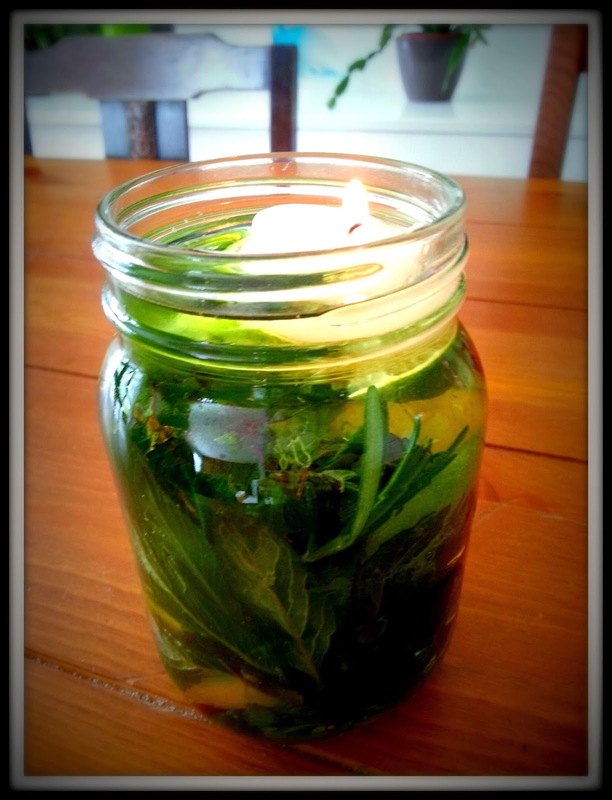 If you don't have a floating candle you can make your own. Take a tea light and remove it from its metal casing. Underneath you will see a piece of metal which holds the wick in place. Ask a grown up to melt some wax from another candle so that the metal is completely covered and then leave to dry. Your tea light will now float! 2. Always be super careful around candles and never leave them unattended.